Dear readers I hate to tell you this but I'm afraid its true. Brian 'Mr Toad' Coleman has been ejected from and rejected by The Tufty Club. He's brought this shame upon himself by deliberately and repeatedly ignoring good sense on road safety issues in Barnet - in favour of keeping the traffic moving at all costs. One presumes its because he's usually in a taxpayer-funded taxi somewhere on his way to yet another free feed. "..they have cut road injuries by over 40% in London, a study claims. In particular the number of children killed or seriously injured has been halved over the past 15 years, the British Medical Journal reported." According to the Barnet Times, Coleman's reaction was “not in this borough”. 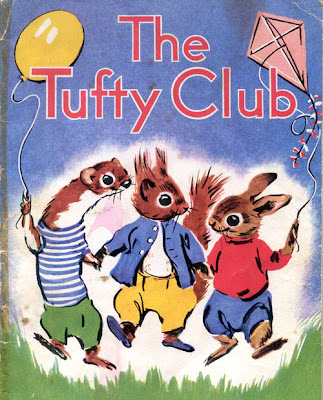 And Tufty's reaction to that? : "Not in my club!" Ironically, the only time I have seen a real toad was a horribly squashed one in the gutter of a neighbouring road near the park. This road, despite running alonside a park where many children cross to enter the play area, had just had its road calming measures removed by the order of guess who: Mr Toad himself. I think perhaps the Almighty was making a point. There is at least one 20mph zone in Barnet, in Mays Lane, Underhill. However, it has never been properly funded, with raised junctions for instance (maybe because Brian is against such things). The whole idea is not to stop car travel, but put it in its place, making walking and cycling more attractive. This awful Council and their policies are killing people. The Councillers themselves should be held legally responsible for any road deaths that would have been prevented by a 20mph speed limit. Why are they allowing speeding to be the norm in our streets and roads? What is wrong with some peace and quiet? God knows we pay enough money to live in Barnet. Brian Coleman - because he's worth it.